Poker players looking to escape the impending winter gloom have one last shot to secure a package to November's Caribbean Poker Tour (CPT) event in St Maartens. 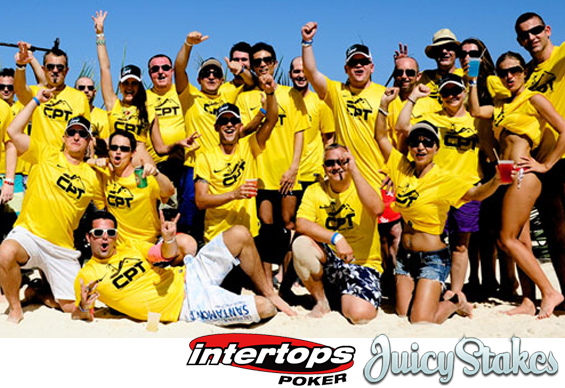 The final CPT St Maartens qualifier will take place at Intertops Poker and Juicy Stakes Poker at 7pm ET this Sunday, 28 September 2014 with the winner set to walk away with a package worth $2,700 that includes buy-in, travel and accommodation. All for a buy-in of just $20+$2. The Caribbean Poker Tour Main Event (buy in $1000 + $100) takes place on 1 and 2 November, just prior to the WPT Caribbean tournament which will also be hosted in St Maartens. Players looking to bag a bonus while trying to qualify can do so at Juicy Stakes. A 100% bonus of up to $100 is on offer between now and Sunday for depositors using the code SEPT092014.